Last week, the Brent forward-month futures contract was within touching distance of capping an 11-week high. On May 22, we saw the new July contract touch an intraday level of US$110.58; the highest since March 3. In fact, Brent, WTI as well as the OPEC crude basket prices are currently in 'three figure territory'. Libyan geopolitical premium that's already priced in, is being supported by the Ukraine situation, and relatively positive PMI data coming out of China. Of these, if the latter is sustained, the Brent price spike instead of being a one-off would lend weight to a new support level. However, the Oilholic is not alone in the City in opining that one set of PMI data from China is not reason enough for upward revisions to the country's demand forecasts. As for the traders' mindset the week before the recent melee, ICE's Commitments of Traders report for week of May 20 points to a significant amount of Brent buying as long positions were added while short positions were cut, leaving the net equation up by 15% on the week at 200,876. That's a mere 31,000 below the record from August 2013. Away from crude pricing, S&P Capital IQ reckons private equity acquisitions in both the energy and utilities sectors are "poised for a comeback". Its research indicates that to date this year, the value of global leveraged buyouts in the combined energy and utilities sectors is approaching $16 billion. The figure exceeds 2013's full-year total of $10 billion. Extrapolating current year energy and utility LBO deal value, 2014 is on pace for the biggest year for such deals since 2007, S&P Capital IQ adds (see table on left, click to enlarge). Meanwhile, in its verdict on the Russo-Chinese 30-year natural gas supply contract, Fitch Ratings notes that Gazprom can go ahead with exporting eastwards without denting European exports. But since we are talking of 38 billion cubic metres (cm) of natural gas per annum from Gazprom to CNPC, many, including this blogger, have suggested the Kremlin is hedging its bets. After all, the figure amounts to a quarter of the company's delivery quota to Europe. However, Fitch Ratings views it is as a case of Gazprom expanding its client portfolio, and for a company with vast untapped reserves in eastern Russia its basically good news. In a recent note to clients, the ratings agency said: "Gazprom's challenge historically has been to find ways to monetise its 23 trillion cm reserves at acceptable prices – and the best scenario for the company is an increase in production. The deal is therefore positive for the company's medium to long term prospects, especially if it opens the door for a further deal to sell gas from its developed western fields to China in due course." While pricing was not revealed, most industry observers put it at or above $350 per thousand cm. This is only marginally lower than Gazprom's 2013 contract price with its Western European customers penned at $378 per thousand cm. As for upfront investment, President Vladimir Putin announced a capital expenditure drive of $55 billion to boot. That should be enough to be getting on with it. Just before one takes your leave, here's an interesting Reuters report by Catherine Ngai on why the 'sleepy market' for WTI delivery close to East Houston's refineries is (finally) beginning to wake up. That's all for the moment folks! Keep reading, keep it 'crude'! © Gaurav Sharma 2014. Table: Global LBOs in the energy & utilities sector © S&P Capital IQ, May 2014. While the Europeans are busy squabbling about how to diversify their natural gas supplies and reduce reliance on Russia, the country's President Vladimir Putin hedged his bets earlier this week and reacted smartly by inking a 30-year supply deal with China. No financial details were revealed and the two sides have been haggling over price for better parts of the last decade. However, yet again the Russian president has proved more astute than the duds in Brussels! Nevertheless, the Oilholic feels Russia would have had to make substantial compromises on price levels. By default, the Ukraine standoff has undoubtedly benefitted China National Petroleum Corp (CNPC), and Gazprom has a new gas hungry export destination. Still there is some good news for the Europeans. Moody's believes that unlike in 2008-09, when gas prices spiked in the middle of the winter due to the cessation of Russian gas supplies to Europe via Ukraine, any temporary disruption via Ukraine would have only have a muted impact. "This opinion factors in a combination of (1) lower reliance on Ukraine as a transit route, owing to alternative supply channels such as the Nord Stream pipeline which became operational in 2011; (2) low seasonal demand in Europe as winter has come to an end; and (3) gas inventories at high levels covering a full month of consumption," the ratings agency noted in a recent investment note. Meanwhile, a political tsunami in India swept the country's Congress party led government out of power putting an end to years of fractious and economic stunting coalition politics in favour of a right-wing nationalist BJP government. The party's leader Narendra Modi delivered a thumping majority, which would give him the mandate to revive the country's economic fortunes without bothering to accommodate silly whims of coalition partners. Modi was the chief minister of Gujarat, one of the country's most prosperous provinces and home to the largest in the refinery in the world in the shape of Jamnagar. In many analysts' eyes, regardless of his politics, the Prime Minister elect is a business friendly face. Moody's analyst Vikas Halan expects that the new BJP-led government will increase natural gas prices, which would benefit upstream oil & gas companies and provide greater long term incentives for investment. Gas prices were originally scheduled to almost double in April, but the previous government put that increase on hold because of the elections. 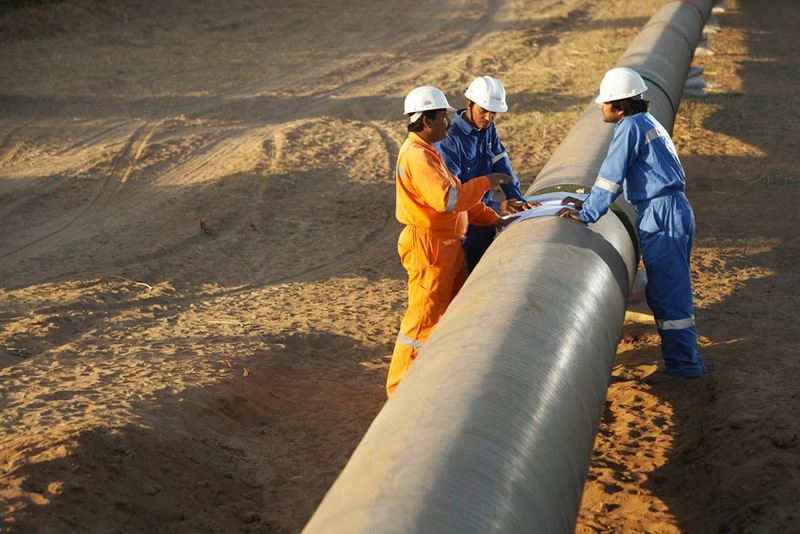 This delay has meant that India's upstream companies have been losing large amounts of revenue, and a timely increase in gas prices would therefore cushion revenues and help revive interest in offshore exploration. "A strong majority government would also increase the likelihood of structural reform in India's ailing power sector. Closer co-ordination between the central and state governments on clearances for mega projects and land use, two proposals outlined in the BJP's manifesto, would address investment delays," Halan added. The Oilholic agrees with Moody's interpretation of the impact of BJP's victory, and with majority of the Indian masses who gave the Congress party a right royal kick. However, one is sad to see an end to the political career of Dr Manmohan Singh, a good man surrounded by rotten eggheads. Over a distinguished career, Singh served as the governor of the Reserve Bank of India, and latterly as the country's finance minister credited with liberalising and opening up of the economy. From winning the Adam Smith Prize as a Cambridge University man, to finding his place in Time magazine's 100 most influential people in the world, Singh – whose signature appears on an older series of Indian banknotes (see right) – has always been, and will always be held in high regard. Still seeing this sad end to a glittering career, almost makes yours truly wish Dr Singh had never entered the murky world of mainstream Indian politics in the first place. Also proves another point, that almost all political careers end in tears. Away from Indian politics, Libyan oilfields of El Sharara, El Feel and Wafa, having a potential output level 500,000 barrels per day, are pumping out the crude stuff once again. However, this blogger is nonplussed because (a) not sure how long this will last before the next flare up and (b) unless Ras Lanuf and Sidra ports see a complete normalisation of crude exports, the market would remain sceptical. We're a long way away from the latter. A day after the Libyan news emerged on May 14, the Brent forward month futures contract for June due for expiry the next day actually extended gains for a second day to settle 95 cents higher at US$110.19 a barrel, its highest settlement since April 24. The July Brent contract, which became the forward-month contract on May 16, rose 77 cents to settle at US$109.31 a barrel. That's market scepticism for you right there? Let's face it; we have to contend with the Libyan risk remaining priced in for some time yet. Just before taking your leave, a couple of very interesting articles to flag-up for you all. First off, here is Alan R. Elliott's brilliant piece in the Investor’s Business Daily comparing and contrasting fortunes of the WTI versus the LLS (Louisiana Light Sweet), and the whole waterborne crude pricing contrast Stateside. Secondly, Claudia Cattaneo, a business columnist at The National Post, writes about UK political figures' recent visit to Canada and notes that if the Americans aren't increasing their take-up of Canada's energy resources, the British 'maybe' coming. Indeed, watch this space. That's all for the moment folks! Keep reading, keep it 'crude'! No one can argue that Spain is among the big beasts of the euro zone, a country boasting high profile companies from banking to oil and gas. However, all is not well with this beast. The financial crisis and subsequent property market crash have taken their toll. At present, the country has one of the highest unemployment rates in the euro zone, rising public debt and low consumer confidence. To understand Spain's current economic malaise, one must contextualise the past – from recent politics to socioeconomics issues, from past histories to recent discontent. Veteran journalist William Chislett's brilliantly concise book - Spain: What everyone needs to know - helps you do just that. The author, who had his first brush with Spain in 1970s and has lived there since 1986, begins the narrative by touching on the country's often turbulent history from the seventh century to the Franco years, and recent past either side of the Madrid bombings. Chislett demonstrates strength in brevity, as this book of just under 230 pages, split into seven parts touches on the key protagonists who shaped or help shape Spain for better or for worse. In each case, from Franco to Zapatero, the author has interpreted trends and sentiments as he perceived them with a sense of balance, wit and proportion which is admirable. Privatisations of state-owned companies from telecommunications to banks and of course that oil and gas behemoth called Repsol are duly mentioned with details of how, when and why Spain crossed that bridge. With the summary done, Chislett turns his attention to what lies ahead for the euro zone's fourth largest economy currently grappling with huge socioeconomic problems. You can literally breeze through this splendid book and be wiser for it if Spain interests you. The Oilholic is also happy to recommend it to students of economics, the European Union project and those of a curious disposition with a thirst for improving their general knowledge about a country, its people and the challenges they face as a nation. © Gaurav Sharma 2014. 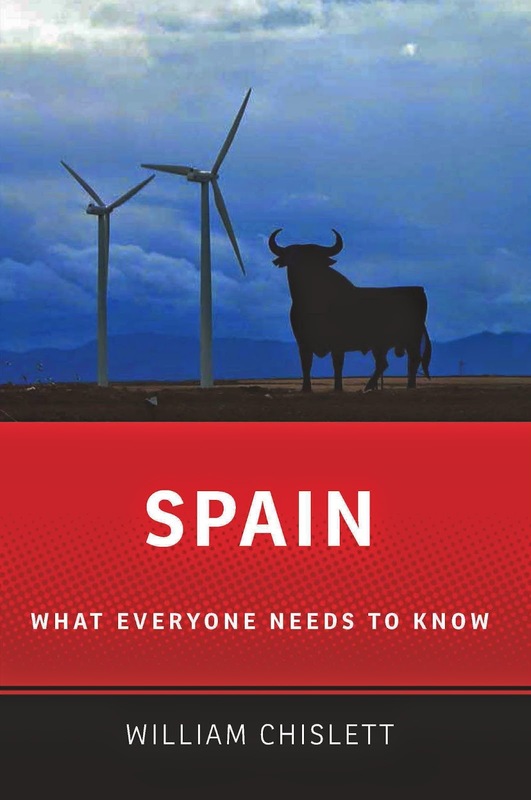 Photo: Front Cover – Spain: What everyone needs to know © Oxford University Press, July 2013. The Oilholic finds himself in a jovial mood in sunny Zagreb. However, Hungarian oil company MOL and the Croatian Government are being rather grumpy with each other these days. The reason behind it all is the management of INA or Industrija Nafte, Croatia's national oil company in which the government holds around a 45% stake and MOL a slightly higher 47% stake. INA has its origins in state-ownership, followed by privatisation; a trend which is not uncommon in this part of the world. It has an E&P arm with ongoing activity closer to home in the Adriatic Sea and Pannonian Basin, and abroad in Egypt and Angola. It also had gas exploration projects in Syria, brought to an abrupt halt in wake of the country's civil war. INA's R&M operations include both of the Croatia's strategic refining assets – namely Rijeka Refinery (capacity 90,000 bpd) and Sisak Refinery (60,000 bpd) and retail forecourts. According to local analysts and whatever one can gather from media outlets, tension between MOL and Zagreb has been simmering since 2011. Strain is evident and both parties are so at each other that it is out in the open. A scribe tells yours truly that MOL feels the Croatian Ministry of Economics is riddled with red tape and has conjured up a bad regulatory framework for the sector in general, which is hurting INA by default. However, Minister Ivan Vrdoljak says it is MOL that has "failed" to deliver on its promise of incremental strategic investment. Another bone of contention is INA's loss-incurring gas trading arm which the government was supposed to have taken over but hasn't so far. As if that was not enough, a Croatian court found former Prime Minister Ivo Sanader guilty of allegedly taking a bribe from MOL in 2008 for permitting it to gain market dominance. Both Sanader and MOL deny the charge. The country's Supreme Court is currently considering Sanader's appeal against his 10-year sentence, passed by the lower court while he remains behind bars on a multitude of charges. Meanwhile, an informed source says trust between MOL and the Croatian government "is right out of the window". Sounds much better when locals say so in Croatian, but sadly the Oilholic cant replicate the sound-bite not being able speak any. Those in the outside world might be forgiven for wondering what the fuss is about and its all to do with upstream operations rather than the country's two refineries. INA operates these out of necessity to meet domestic distillate demand above than anything else. For it, the Pannonian basin holds very good potential. According to the US Geological Survey, the area could have something in the region of 350 million barrels of oil equivalent (boe) by conservative estimates. The figure could rise to lower four digits if overtly optimistic regional projections are followed, so yours truly won't follow them. Everyone from the Romanians to the Austrians want in, and Croats and Hungarians – should they stop their squabbling – could jointly work on their share too in this hydrocarbon hungry world. Additionally, the north Adriatic Sea offshore prospection is currently yielding INA (and its Italian partner Eni) 15.8 million boe per day. The latest round of talks aimed at resolving the dispute have been going on since last September, with very little to show for. The next round of talks is scheduled for the end of the month. Here's hoping 'crude' sense prevails or their partnership mementos from 2003 might just end up in the City's Museum of Broken Relationships (see left). In the interim, please take any quips, claims and figures touted by either party with a pinch of salt! Away from it all, one footnote to boot before yours truly enjoys some cultural pursuits and beverages here – ICE's latest commitment of traders report for the week ending April 29 noted that bets on a rising Brent price have risen to their highest in eight months as money managers, including hedge funds, increased their net long position in Brent crude by 0.3% to 204,488, marking a fourth successive week of increases. Traders in the category decreased their long positions by 2,464, but the number of short positions also fell, by 3,039 to 47,800, the lowest level since the end of August. That's all from Zagreb folks! Keep reading, keep it 'crude'! © Gaurav Sharma 2014. 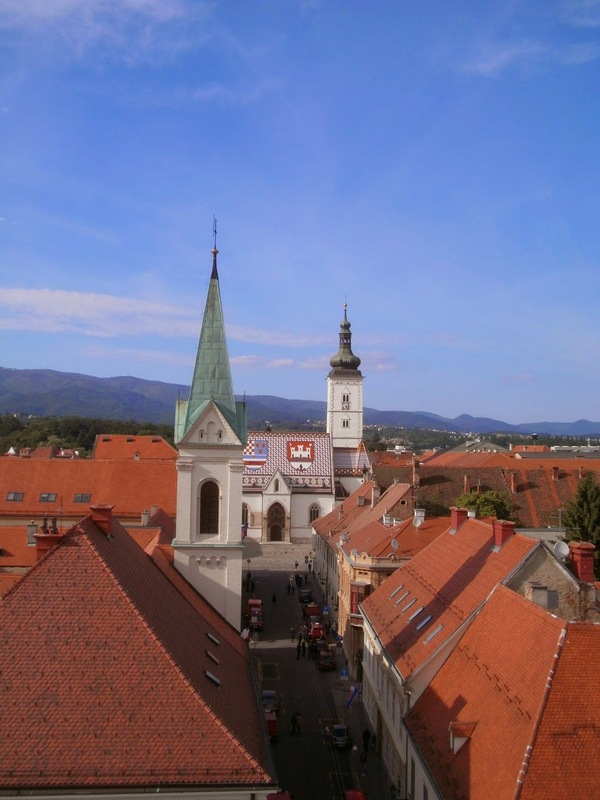 Photo 1: St. Mark’s Church as seen from Lotrščak Tower, Zagreb, Croatia. 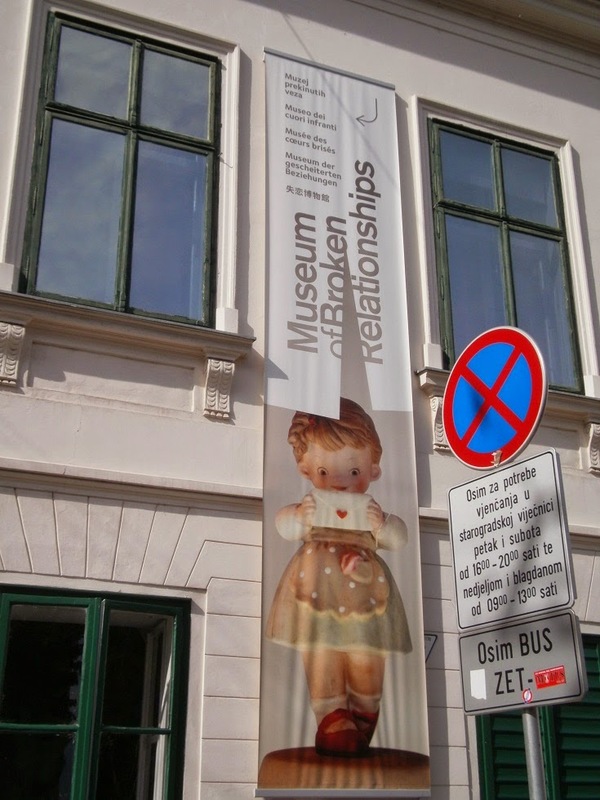 Photo 2: The Museum of Broken Relationships, Zagreb, Croatia © Gaurav Sharma, May 2014.